Showing dilutes can be a lot of fun but there are some rules and regulations you need to be aware of. Palominos are judged on both colour and conformation. 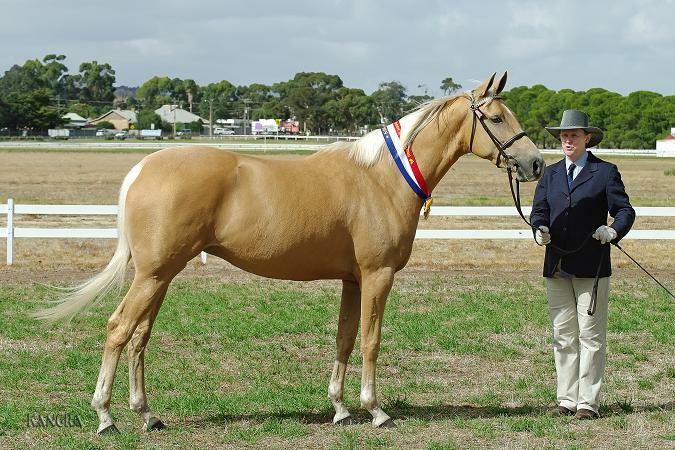 Palominos registered with Dilutes Australia Ltd may be shown in both led and under saddle classes at open shows with plaited, braided or banded manes and tails. Unplaited manes must be a minimum length of 10cm. False tails and false plaits are not permitted. Make up is allowed but any attempt to bleach, dye or superficially alter coat colour or manes and tails is strictly prohibited. At State Dilute Championship Shows, All-Dilute Shows etc palominos must be shown in led classes with a free flowing mane and tail. Cremellos and perlinos are judged on conformation alone. 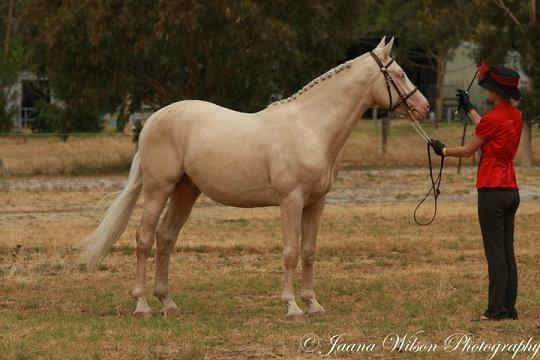 They may be plaited, hogged, braided or banded for both led and under saddle classes. Feet must be left natural or done in clear varnish only. There is no discrimination against either colour. Buckskins, Duns and Silvers are judged on conformation alone. 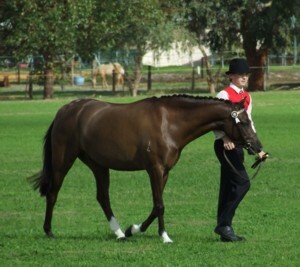 They may be presented plaited, hogged, braided or banded for both led and under saddle classes. They may not be dyed; (legs - whilst we would prefer that substances such as raven oil NOT be used, their use is permitted within reason). 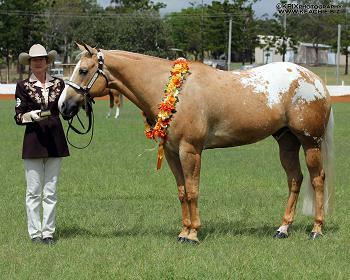 Primitive markings on duns must not be enhanced or artificially applied under any circumstances as these are fundamental characteristics of the colour (like the white mane & tail of the palomino and pink feet of the cremello & perlino). Any person found doing this will be barred. 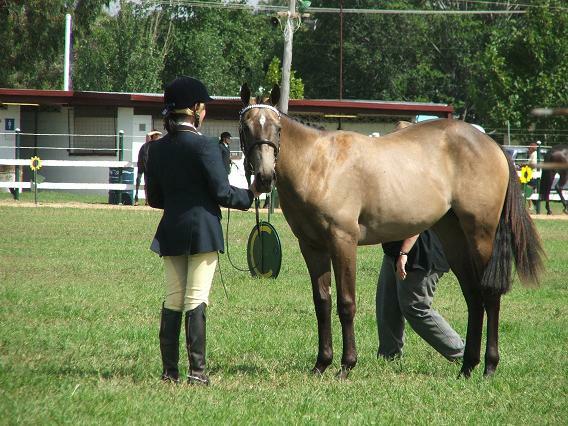 Buckskins and duns are shown together in the same classes at most open shows; most shows will only specify Buckskin on the program but this refers to both dilutions. There should be no preference shown towards either colour. Ancillaries are judged on conformation alone. 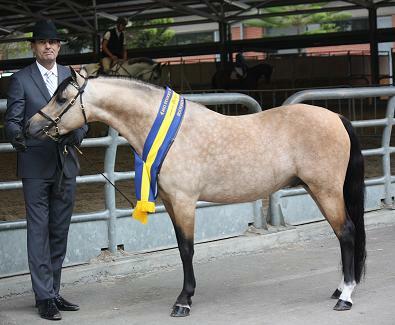 They may be presented plaited, hogged, braided or banded for both led and under saddle classes. Colour is not considered. These classes are judged on performance only. Unless specifically stated, riding attire and tack is the rider’s preference but cleanliness and neatness are essential. Horses may be plaited at the rider’s choice. 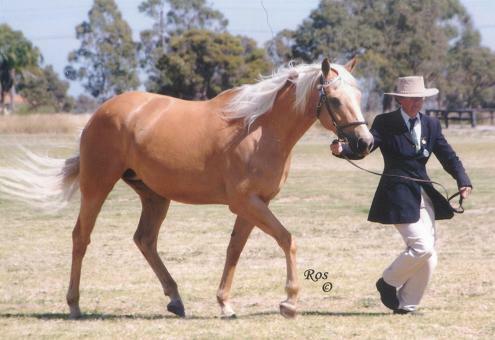 Promotional classes were introduced into palomino led programs to enable judges and spectators alike to single out for close attention the individual categories which make up the palomino as a whole. With the addition of all the other dilute registers promotional classes were added to their programs to keep them in line with the palomino program. These classes are judged on the colour, purity and iridescence of the coat only; mane and tail are not taken into consideration. The coat should be the colour of a newly minted gold coin and the iridescence gold. Dapples, spots (except those caused through accident), smutting etc are to be considered colour faults and penalized accordingly. Artificial glosses and coat-shiners shall also be penalized. These classes are judged on the colour, texture and purity of the mane and tail only; body colour is not taken into consideration. Mane and tail to be judged according to the points outlined above under ‘Manes’. These classes only take into consideration the conformation and overall quality of the horse. Colour and mane & tail are not considered. Horses may be asked to do a work out so the judge can check their movement and soundness. These are turnout classes for led horses. 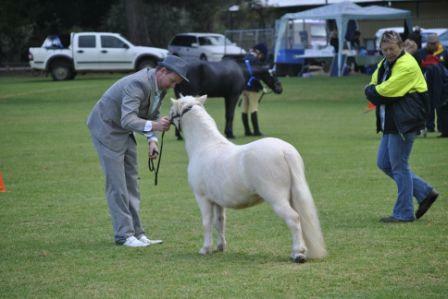 The horse and handler are judged on their overall presentation, cleanliness and smartness. Colour, conformation etc are not considered. 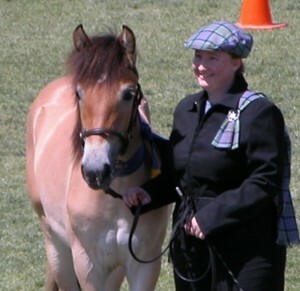 The horse or pony is judged as a dun and should exhibit as many dun characteristics as possible. These should be rich in colour and clearly visible but must not be enhanced or artificially darkened in any way. These classes should be restricted to true duns only. 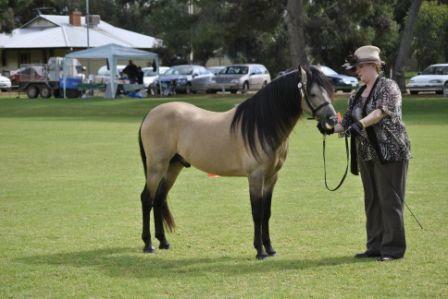 The horse is judged on the quality of it’s breed or type characteristics. Colour is not taken into consideration. 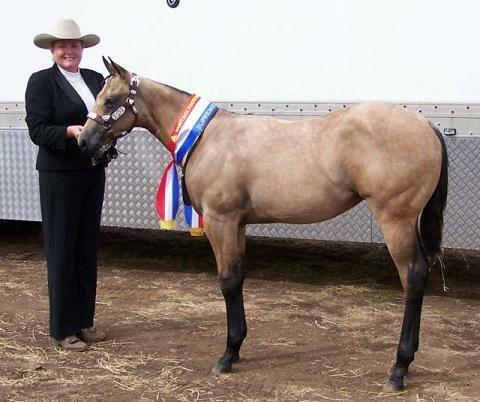 In dual-registered classes, horses are required to carry a registration with that breed society. Horse is judged solely as the respective breed type (ie Arabian derivative) and must show the characteristics of the respective breed. Must also be registered with that breed society. Handlers must be neat, clean & tidy. The following styles of attire are suggestions but are not compulsory. Jodhpurs, ankle or knee boots, hacking jacket, shirt, tie and hat. Vest and gloves optional. Jacket may be removed at the judge’s discretion. Western cut trousers (not jeans), long-sleeved western style shirt, western boots, western hat. Vest and gloves optional. Plain cream trousers or jodhpurs, ankle or jodhpur boots, plain cut or hacking jacket, light plain coloured shirt, tie, Australian style felt hat eg Akubra stockman. Gloves optional. Jacket may be removed at the judge’s discretion. Plain cut trousers, long-sleeved button-up shirt or similar, tie or similar, suitable hat or peaked cap, appropriate boots. A suit may also be worn. Usually consists of a tailored suit (either skirt or trousers for ladies), toning shirt, tie for gents, hat or scarf and appropriate foot wear. 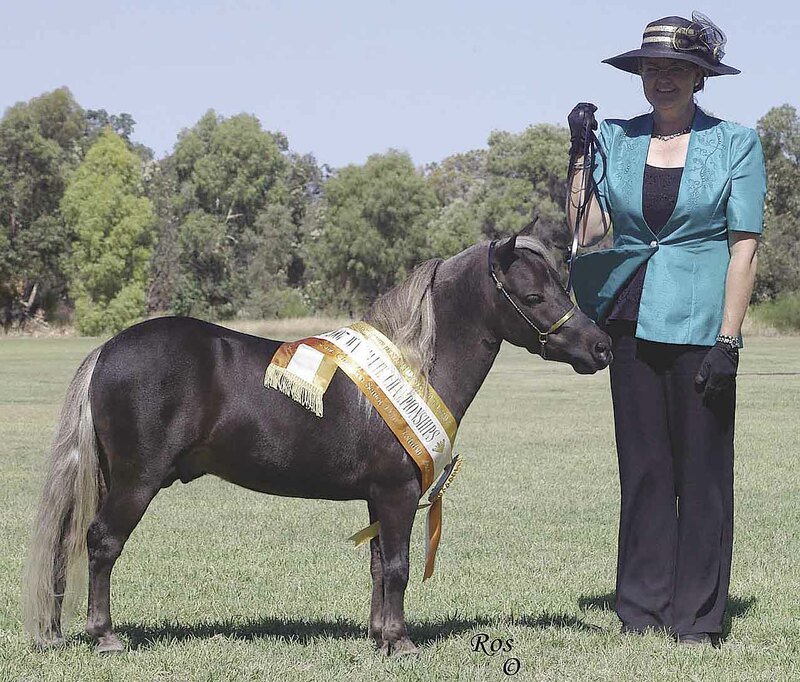 As we are a colour that encompasses a number of breeds, it is felt that a horse should generally be shown in the attire most suited to its appearance and breed characteristics.